Calgary, Alta. 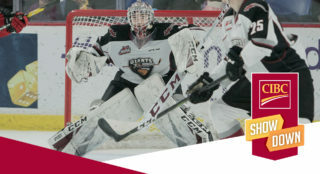 – The Western Hockey League, in collaboration with the Canadian Hockey League, Moose Jaw Warriors, Swift Current Broncos and Hockey Canada, announced today the roster for Team WHL, which will compete against Team Russia in the 2017 CIBC Canada Russia Series. Team WHL will face Team Russia in Game 1 of the 2017 CIBC Canada Russia Series in Moose Jaw, Sask., on Monday, November 6, before continuing on to Swift Current, Sask., for Game 2 on Tuesday, November 7. The Ontario Hockey League will host Games 3 and 4, while the Quebec Major Junior Hockey League will welcome the festivities surrounding Games 5 and 6. 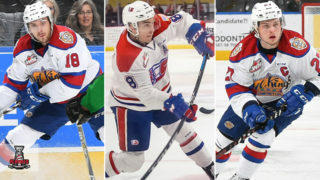 Team WHL once again features an abundance of NHL prospects, including 13 players selected in the first two rounds of the NHL Draft. A pair of top-10 selections from the 2017 NHL Draft highlight the roster, including Portland Winterhawks forward Cody Glass (Vegas Golden Knights, 1-6) and Tri-City Americans forward Michael Rasmussen (Detroit Red Wings, 1-9). Moose Jaw Warriors captain Brett Howden, a first round pick of the Tampa Bay Lightning, will have the opportunity to suit up for Team WHL in front of a hometown crowd when the series opens in Moose Jaw on November 6. When the series shifts to Swift Current on November 7, the WHL’s leading goal scorer – Swift Current Broncos forward Tyler Steenbergen (Sylvan Lake, Alta.) – will suit up in front of his home crowd. Additionally, Vancouver Canucks prospect Kole Lind (Kelowna Rockets) hails from nearby Shaunavon, Sask. For further information, including how to purchase tickets, please visit http://chlcanadarussia.ca. Each of the three CHL member Leagues assembled a selection committee, working closely with Hockey Canada, to select the players for this year’s series. This year, Team WHL will be coached by Tim Hunter (Moose Jaw Warriors), who will also serve as an assistant coach for Team Canada at the 2018 IIHF World Junior Championship. Regina Pats general manager and head coach John Paddock and Swift Current Broncos director of player personnel and head coach Manny Viveiros will serve as assistant coaches for Team WHL. The six-game series features regional league teams of Canadian National Junior Team candidates competing against the Russian National Junior Team. 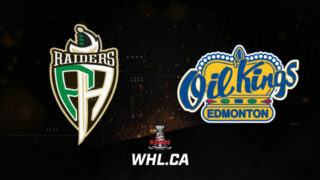 For the fourth straight season, the event will open with two games in the WHL. 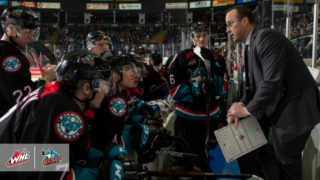 Since the event first began in 2003, CHL teams have played to an overall record of 58-19-1-6. 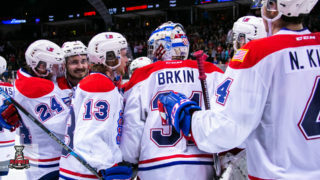 The competitiveness of the rivalry has grown in recent years with four of the last seven series decided in the final game, and with Russia earning three series wins since 2010 compared to the CHL’s four series triumphs over the same period including last season by a 13-5 margin in points. The 2017 CIBC Canada Russia series is supported by CHL associate sponsors Cooper Tires and Sherwin-Williams. 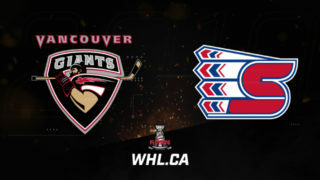 All games will be broadcast nationally on Sportsnet and TVA Sports.